Our feature bike for February is this beautiful Enik Professional 4S. The frame is Reynolds 531 steel, fully chromed beneath the paint, with Campy dropouts. It sports a full vintage Shimano Dura Ace “Black” group, Cinelli bars & stem, and vintage Selle San Marco Concor Supercorsa saddle. 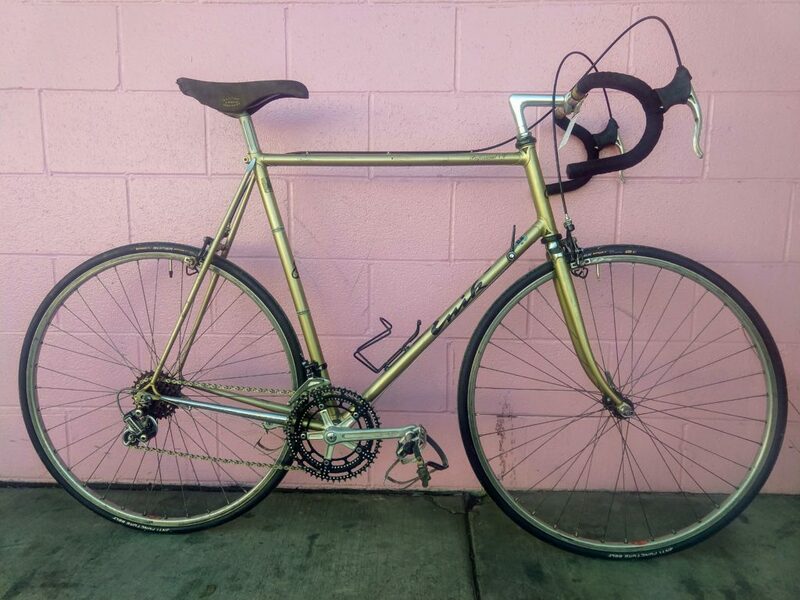 This rather rare bike was made in the western German region of Westfalia in the early 1980s. Size 62cm, will fit cyclists 6′-6’4″. It’s only $350, and worth so much more in street cred!